Having grown up with Disney, I have seen so many attractions come and go in the 40 years that I have been visiting the ‘Most Magical Place on Earth’. There is one, eh, or 10 things that remain constant, that is, my top 10 must dos every trip. When clients ask what are the top MUST DO things to do, my answers are always the same. 2. Always purchase a Disney Dining Plan. Always. It will never be less expensive to pay out of pocket for the same meals. About 10 trips ago, my family decided to “just try it”. We were going to be “smart” about our meal choices. We kept all of our receipts to add up our food and drink expenses and then compare them with the cost of the meal plan. We were there on a 6 night package. I was so excited to get home to add it up and see just how much we actually saved. We quickly realized that we were’t so smart. We spent a whopping $490 more, you read that right, than we would have spent purchasing the Plus Dining Plan. ALMOST $500 MORE! Since then, I will never go to Disney any other way. 3. Choose your dates wisely. I get calls every day from clients who want to go when Disney is least crowded. Typically, Disney is most crowded when schools are out, so choose a date when the least number of schools are out, perhaps a State Holiday like Mardi Gras in Louisiana. If you choose a national holiday, the crowds will be heavier. 4. Don’t skip any of the 4 theme parks because you heard that one was not that great. I can’t tell you the number of clients who will call and tell me they want to skip Epcot because their “kids will be bored with nothing to do in the countries”. I am here to tell you that if you give it a chance, all 4 theme parks have something for everyone. One of our favorite rides is Maelstrom in Epcot’s Norway Pavilion. Don’t miss it. 5. Don’t miss the classics. Dumbo, Pirates, The Jungle Cruise, Splash, Space and Big Thunder Mountains, It’s a Small World, Carousel of Progress all at Magic Kingdom. ALL CLASSICS! They are part of the history of Disney World. Put them at the top of your list. 6. Date night! Mom and Dad deserve some grown-up fun! 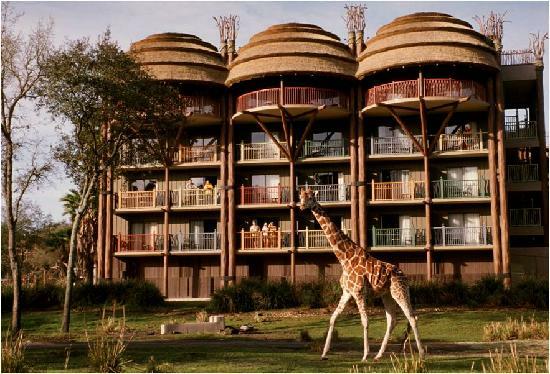 Have your travel agent make reservations at one of the children’s activity centers or in-room childcare. The children will have a fabulous time making crafts, playing games and watching movies at one of 5 centers at Walt Disney World while mom and dad partake in the adult festivities that Disney has to offer such as a romantic dinner at California Grill on the top of Disney’s Contemporary Resort as you look through the window and watch Wishes Fireworks over the castle as you dine. Want something more casual? How about drinks around Epcot’s World Showcase with a stop in your favorite country for dinner followed by Epcot’s Illuminations Dessert Party. The possibilities are endless. 7. Dine with the characters. If you have little ones who want to meet the characters, this is the way to go. Sure, you could stand in line at the parks, but if you dine where the characters are, you can meet 4-5 characters with no line. Characters will come right up to your table during your meal. They will sign autographs, pose for photos and spend a little personal time with your family. The best part……character meals are included on the Disney Dining Plan. 8. Weigh your ticket options. Base, Park Hopper, Water Park Fun and More…..choices….choices…..choices. If you truly plan on enjoying just one park per day, knowing that some parks close at dusk, as well as following a strict itinerary regarding dining venues, then base tickets are for you. If a more flexible schedule with the ability to hop from park to park in the same day, then consider adding the Park Hopper option to your tickets. If water parks and DisneyQuest are in your plans, then you will want to add the Water Parks, Fun and More option, as well. 9. Do not miss the opening and closing at Magic Kingdom. Even if you have to go back to your resort for a mid-day nap, get to Magic Kingdom before it opens. Stand in the crowd at rope drop. This is truly an indescribable magical moment that so many people miss. Likewise, there is absolutely nothing like being at Tomorrowland Terrace or Fantasyland watching Wishes overhead. If you are lucky, Tinkerbell will fly right over you! 10. Do have a game plan before you even leave. I make itinerary for all of my clients so that they do not get overwhelmed and know exactly which parks they are going to and where they are dining for breakfast, lunch and dinner, everyday of their stay. The biggest mistake guests make is showing up without a plan and most of their day is wasted running back and forth to different attractions. If you have a good travel agent, a good game plan, and utilize My Disney Experience for fastpass reservations with the help of an experienced agent, you are sure to experience the most in the shortest amount of time, saving you time and money. 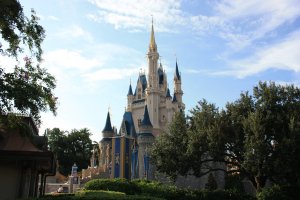 For more information on all the MUST Dos at Disney World please feel free to contact us for a free quote! All of ourDisney planning services are 100% FREE! Do You Want To Book a Disney Trip? Do you wanna book a Disney trip? Julie can plan it all! 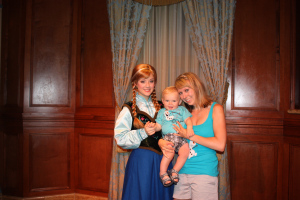 Saving for Your Disney Vacation- 11 Tips You Can Use Right Now! I have had so many people tell me that they want to go to Disney one day, but just don’t have the funds to do it. Well once I left my corporate job to be a SAHM and build my MickeyTravels business, I have learned how to save even on a budget! I am not an accountant, so I will not go into all the math involved (YUCK!) but I can tell you some great ways to save for your next vacation! 2) Use Cash… I can’t even tell you how much money I have saved used cash for most of my everyday spending. As much as I love getting credit card rewards, I have found that spending less is far more valuable than the rewards. I use credit for gas, large purchases (to get my Disney Visa points), and online purchases. Other than that, cash it is. Try it for a month and see how much you save! 3) Stop buying bottled water… We have a water filter on our sink so we just fill up our Tervis cups instead of wasting money on bottled water. Even if you don’t have a filter, Brita and other brands make bottles with a filter. This is an easy way to save cash. 4) Stock up on baby supplies during sales… I always buy my diapers and wipes in bulk during a sale. This saves a ton of money! 5) Get a Disney Visa…I know I said use cash, but you can’t pay cash for everything. When you do use your card you will be earning money towards Disney! I love that I just transfer my rewards balance to a gift card to use for tips and souvenirs. 7) Disney Gift Cards— Get in the habit of asking for Disney gift cards for holidays. I always get these and they can be applied towards your Disney trip or be used while you are down there. I have many clients that buy them at Target to get the 5%. I always do Kroger so I can get the fuel points. If you are thinking about Disney, just buy some when there is a deal and put them in a safe place. 8) Eat a home…This is huge, especially for a family! Make pizza night fun by making your own pie. You will get exactly what you want and save money! This also goes for skipping the drive thru. We go out on weekends and special occasions but other than that, we eat at home. It saves money and is much healthier too. 10) Prioritize your money… Look back at your credit card reciepts and bank statments and really think about where all your money is going. Chances are you are spending it on impulse buys at Target, hitting up Starbucks a little more than you should and eating out more than you thought. If you gasp when you see the totals, time to make some changes. Figure out what you can cut from your budget to make room for that dream vacation. 11) Sell old stuff…Look around your house and I am sure you have some things you can sell. I have sold books, designer purses, and even some of my Disney pin collection on ebay and on yard sale sites on Facebook. I have gotten the most for my gently used designer clothes and purses. You could even have a garage sale. I love using ebay because the money goes into my paypal account and then I can use it from online purchases or transfer to my bank account. It was fun to buy my son and I some olaf shirts off Etsy with cash I made selling old stuff! I hope this has inspired you to save money and I would love if you put that money towards at Disney vacation!